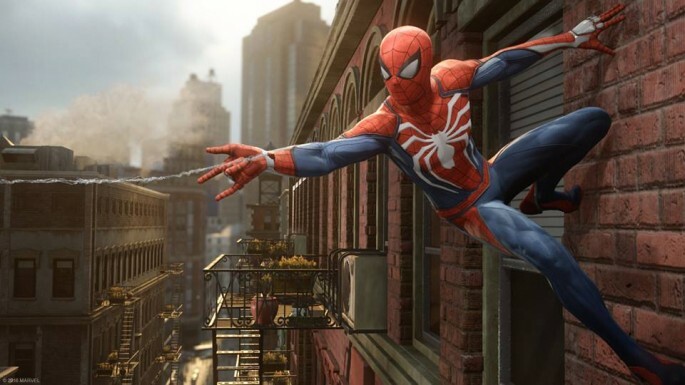 HOME > TECH > 'Spider-Man' PS4 news: Main plot will not be an origin story; Marvel wants Insomniac Games to have complete freedom in the game's development! 'Spider-Man' PS4 news: Main plot will not be an origin story; Marvel wants Insomniac Games to have complete freedom in the game's development! The latest details for the new "Spider-Man" PS4 game will feature Insomniac Games having full control of the game's development and the plot details will not be an origin story. Marvel announced that Insomniac Games will have complete development control on its new "Spider-Man" video game for the PlayStation 4 console. Marvel and Insomniac Games will be collaborating together in to embrace what their visions and goals in creating a new experience for the comic book and gaming fans in telling Peter Parker's story as creative director Bill Rosemann assured that Insomniac will deliver something new and exciting in the game. Rosemann added that this version of Spider-Man in the PS4 exclusive game will be different from the other versions of the web-slinger from comics and movies as Peter Parker here is a seasoned superhero and confirmed that there is a story behind everything delving deeper into the mystery of the game's plot, WCCFTech reported. As seen in the E3 2016 tease trailer, Peter Parker sports a new costume with two white spider symbols which is somewhat an easter egg from the three "Spider-Man" movies portrayed by Tobey Maguire, Andrew Garfield and Tom Holland. New gameplay features for the "Spider-Man" PS4 game will have more dynamic flow in terms of web swinging, parkour and acrobatics. There will also be unique combat in the "Spider-Man" PS4 as the game will feature more ways for gamers to stop bad guys either in vehicular chases or overwhelming number of enemies that gamers must survive. Both Sony and Marvel confirmed that engine used in the "Spider-Man" PS4 game came from the older PS4 console, not the updated version PS4 Neo. As for the main plot of the game, the "Spider-Man" PS4 will not be an origin story nor it is a tie-in game for "Spider-Man: Homecoming" since a seasoned Peter Parker will be starring in the game, SegmentNext reported. "Insomniac" will use their own in-game engine in developing "Spider-Man" for the PS4 and several hints revealed that Norman Osborn and Mister Negative could be the villains in the game. Sony and Marvel has not yet announced a release date of "Spider-Man" for the PlayStation 4 and gaming and Marvel fans will eager to know more game details soon. 'Fallout 4' DLC update: New patch 1.5.4 fixes issues on mods, 'Contraptions Workshop'; 'Nuka World' will not be the last expansion in the sequel? 'Resident Evil 7' update: New main character details revealed; Sequel will not be a ghost story, 'Resident Evil 2' remake demo added to the game? 'Final Fantasy XV' rumors: Square Enix tease PC, PS4 Neo, Xbox Scorpio versions soon; More details on summons, weapons, monster bounty revealed! New 'God of War' PS4 story will feature Kratos' wife [VIDEO]; Sequel will features 'Father and Son' combat, Thor's hammer, 100 enemies, bigger boss fights!